Bankruptcy exemptions protect certain property from being liquidated (sold off) when people file for Chapter 7 bankruptcy. While some states allow people to choose between federal and state bankruptcy exemptions, in Colorado, people are required to only use Colorado bankruptcy exemptions when filing for Chapter 7. Colorado exemptions protect certain property from being liquidated in Chapter 7 cases. For more, contact Denver Bankruptcy Lawyer Arthur Lindquist-Kleissler. These exemptions apply to various type of property, and each exemption comes with its own specific rules. In some cases, the maximum values that have been set for exemptions can be doubled when married couples file for bankruptcy jointly (i.e., together). In other cases, exemptions are considered to apply to a “household” and, therefore, cannot be doubled even when people file jointly. The homestead exemption – This allows for up to $60,000 in real property to be exempt from Chapter 7 proceedings. Real property can include a house, condo or mobile home, and a person has to be residing at the property in order to qualify for this exemption. If the person filing for bankruptcy (or his spouse or a dependent) is elderly (i.e., older than 60 years old) or disabled, then this exemption allows for up to $90,000 in real property to be exempt from the bankruptcy. The motor vehicle exemption – Up to $5,000 in cars, trucks or other motor vehicles can be exempt from Chapter 7 bankruptcies in Colorado. For people who are elderly, disabled or have spouses or dependents who are elderly or disabled, this exemption increases to $10,000. The exemption for insurance benefits – While the proceeds from life insurance (including group life insurance policies) are entirely exempt (i.e., 100 percent exempt), up to $200 per month in insurance benefits for illness or disability may also be exempt from Chapter 7 bankruptcies. Up to $600 in food and fuels. It’s important to note that Colorado bankruptcy exemptions can be updated or adjusted at any time by the state legislature and that there may be additional exemptions not mentioned herein that people can take advantage of (depending on their specific financial and personal situations). Therefore, they should consult with Denver Bankruptcy Attorney Arthur Lindquist-Kleissler for more specific information and advice regarding their case. 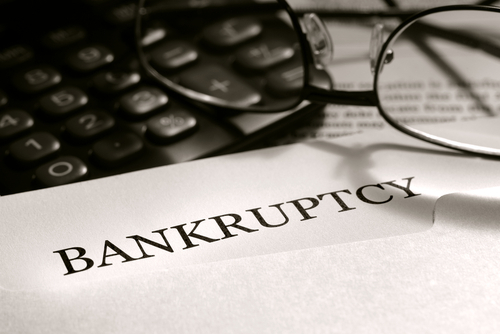 If you are preparing to file Chapter 7 bankruptcy and would like to know more how you can benefit from Colorado bankruptcy exemptions, don’t hesitate to contact Denver Bankruptcy Lawyer Arthur Lindquist-Kleissler. He is ready to help you figure out your best options for resolving your debt while keeping as much of your property as possible. Help them resolve their cases as efficiently and favorably as possible.